The Charity is an amalgamation of the Church Lands and other ecclesiastical charities of the ancient parish of Temple or Holy Cross in Bristol. The area of the ancient parish is now part of the existing parish of St Mary Redcliffe with Temple Bristol and St John the Baptist Bedminster. 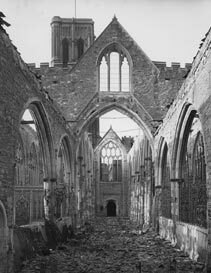 The former parish church in Victoria Street was gutted in the Second World War, and it is now in the custody of English Heritage. The Charity is governed by a Charity Commission Scheme dated 20 January 1992 and was incorporated by a certificate of the Charity Commission dated 22 October 1993 under the name of the Trustees of Temple Ecclesiastical Charity.